The theory of intersectionality, developed by law professor Kimberlé Crenshaw, has, in recent years, moved away from a discussion in college classrooms to becoming central to how activists and nonprofits alike build authentic and effective social movements. For women and girls who embody identities beyond gender, the challenges continue to grow. This requires not only an understanding of intersectionality, but a commitment to supporting it. Grants made in 2016 through the Giving Councils at Chicago Foundation for Women do both. This year, giving councils at CFW worked collaboratively to fund organizations at the cutting edge of the intersections of race, gender, and sexuality. Many of today’s most pressing issues affecting women and girls are complex, often a combination of discriminatory local and federal policies, divestment from communities, and a culture that is generally biased against women. The Giving Councils understood that while these complexities are particularly true for women and girls of color, they are also the women who play significant leadership roles in emerging movements that are making an incredible impact. One of the most striking examples of the emerging movements where women are playing key leadership roles is Black Lives Matter. On a national and local level, women are organizing and leading the charge on police accountability in that movement. Today, these leaders often shape their work and organizational structures through a queer, feminist lens, unapologetically working for equity along gender and racial lines simultaneously. 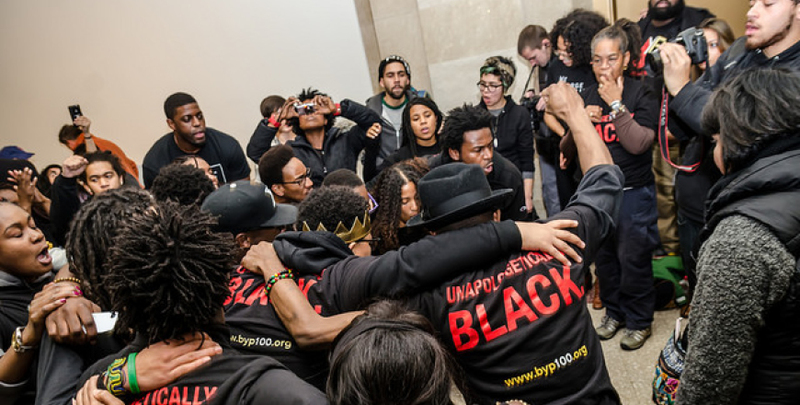 The LBTQ and Women United Giving Councils recognized this, and decided to pool their resources to support the work of Chicago-based organizations, BYP100 and Assata’s Daughters. Both organizations seek to engage black women, girls, and others in key policy and influence community issues affecting them, including economic systems, incarceration, community investment, and health and wellness. 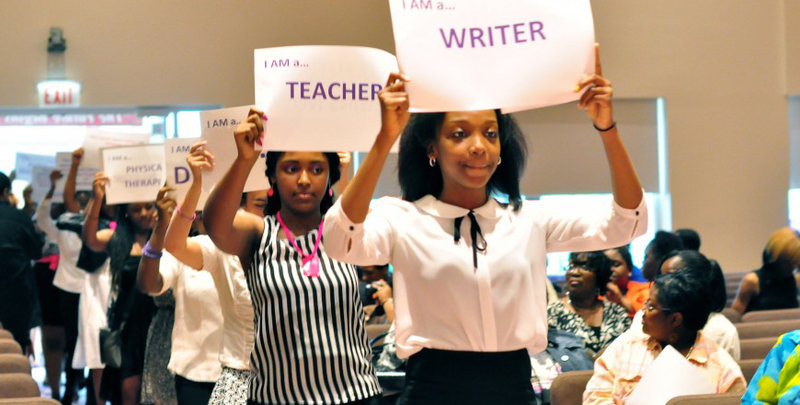 Assata’s Daughters provides yearlong programming for young black girls to learn political education, wellness, skill-building, and positive affirmation. 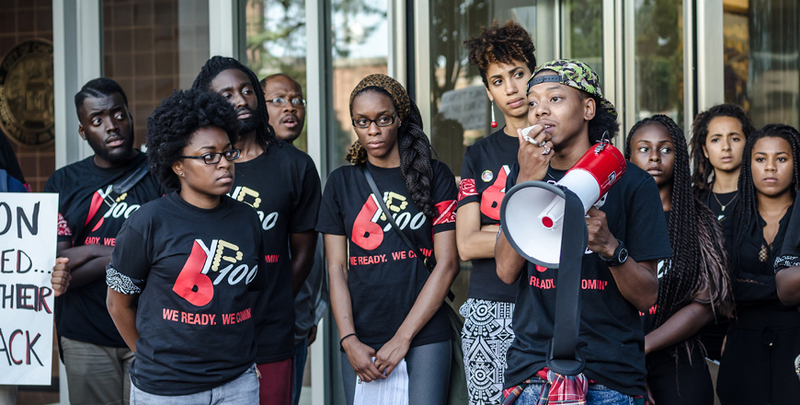 BYP100 is an offshoot of the Black Youth Project housed at University of Chicago’s Center for the Study of Race, Politics, and Culture. 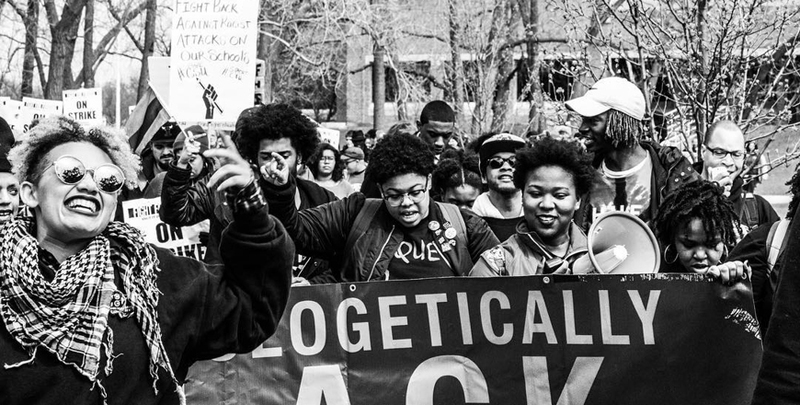 The organization put forth the Agenda to Build Black Futures, which outlines tangible recommendations for racial equity, including honoring worker rights, valuing women’s work, supporting trans health and economic security, and investing in black communities. These organizations are led by Black, queer-identified women and both have worked to assist the Giving Councils in affirming the importance of such leadership in this critical work. LBTQ Giving Council co-chair, Laura Stempel shares, “I am really excited about BYP100, and that we are able to be one of the a few to give them funding.” She adds that investing in grassroots organizing, like that of BYP100 and Assata’s Daughters, is the right direction for the councils to remain innovative and at the forefront of grantmaking. The Women United Giving Council also worked alongside the Young Women’s Giving Council this year to co-fund Demoiselle 2 Femme. 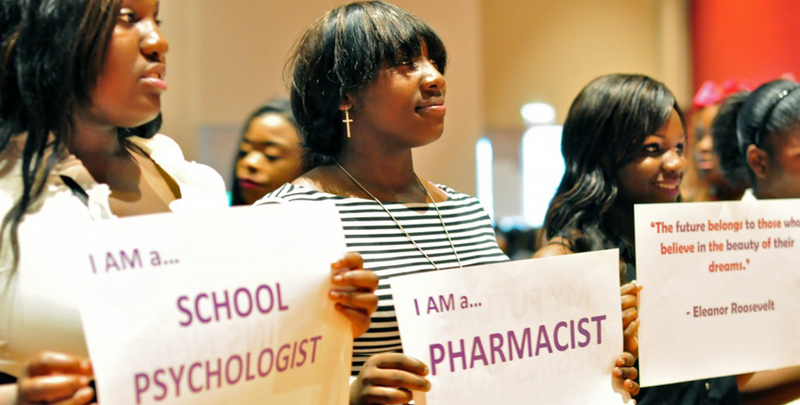 The organization works with young women and girls on the far south side and the south suburbs to help them accomplish their “educational and professional goals through self-discipline, hard work, commitment and service to their community.” The programs include leadership development, money management, college access and STEM. (Science, Technology, Engineering, Mathematics) programming for girls. To date, Demoiselle 2 Femme has assisted more than 400 girls in becoming first-generation college graduates. The Giving Councils at Chicago Foundation for Women are bold, yet informed risk-takers in grantmaking. Additionally, they play an important role in identifying emerging organizations and projects that address the nuances of women and girls’ identities, and understanding how those identities impact need. Intersectionality is a key component of equity, and the collaboration among the giving councils at Chicago Foundation for Women reinforces that for all women and girls to succeed, support from all is essential.